Overnight transit in Yau Me Tei. Hong Kong seems like a magical land after 3 solid months in 2nd tier China without a break. We didn’t go away for CNY as it is a ridiculously expensive time to travel. We went down with Influenza B all holidays, so my frustration with flight prices and refusal to buy tickets was for the best in the end. We spent 4 days in bed, sick, freezing, band eing rocketed to oblivion by new year fireworks. By the end of the holiday we were both ready to kill the next person who hocked up form near us. I have a week of holidays before I collect her. I can’t remember the last time I travelled on my own. I’m doing a hand papermaking workshop in Chiang Mai, meeting a friend in Bangkok, re-learning screen printing in Hong Kong, and meeting daughter off the plane at HKIA. 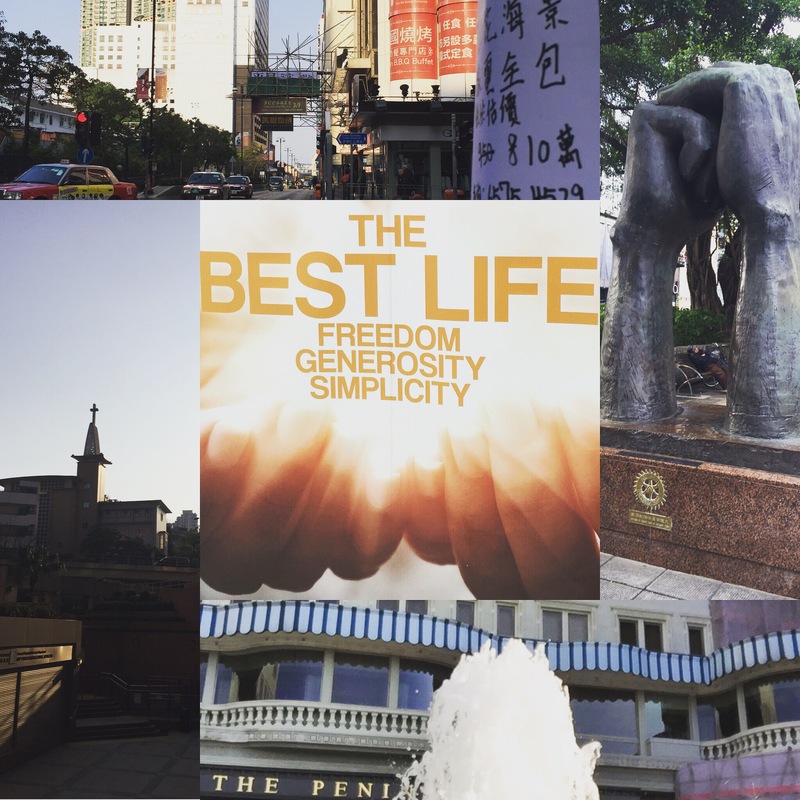 Today though, I’m spending Easter Sunday roaming the streets of Kowloon, thinking about how fortunate I am. It’s hard to say it without sounding like a prat, but I am so grateful for the opportunity to travel, to explore, see the crazy things I’ve seen; to be healthy, to have an amazing daughter who is growing into a super smart tween with a Hogwarts obsession; to be Australian and come from that crazy flat land where the sun and spiders and snakes are all conspiring to kill us; to hear that nasally drawl in backstreets or Cafes or airports always makes me smile. And mostly, I am awfully grateful to have survived two difficult years in a not-so-awesome job in China, and grateful for the job and all its trials, because it is the means by which we will travel and live in Europe.